Who says that you have to wait until the weekend to go on an adventure? With EarlyBee, you can go on adventures every day. EarlyBee is a new game app where you go about your day as you normally would, but with the added benefit of discovering new ways to plan your day, save money, and fulfill goals. 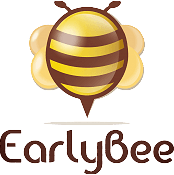 EarlyBee is a location-based social game for life activities. Turn any event or activity you wish to participate in into a mission or scavenger hunt. The mission can then be made public to other users, friends, or family. 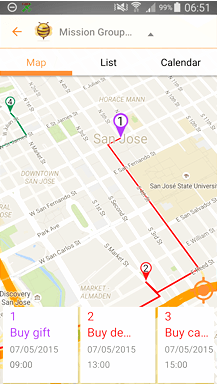 Easily visualize your activities for the mission on a map with color-coded routes. EarlyBee even has a unique algorithm that enables you to find the best stores for your needs. 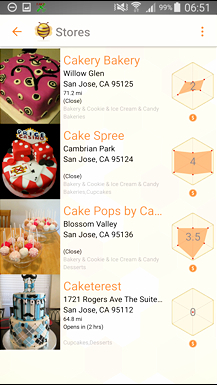 Use the radar graph rating tool to determine which factors are important to you in choosing locations. You don’t have to be a planner to use EarlyBee. 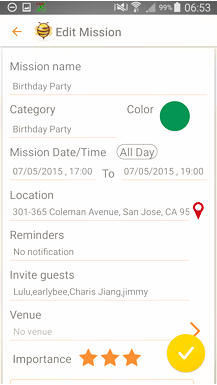 Use a mission template to easily plan a birthday party, picnic, or even a date night! Collect points as you visit vendors and complete missions. Use your points to unlock treasure boxes that stores have left for you to discover! What are you waiting for? Turn your daily activities into adventures with rewards. Check out Early Bee here today and let me know what you think!